North America’s highest mountain peak, Mount McKinley, is the dominating presence in the Denali National Park & Preserve. The U.S. National Park Service estimates 400,000 adventurers and tourists visit the park each year seeking a glimpse of the mountain peak on a rare day of clear skies. The tranquility of this vast unfenced land and the region’s abundant wildlife are undeniable contributors to its popularity. Take the first step towards your amazing adventure with this general guide to visiting the Denali region. 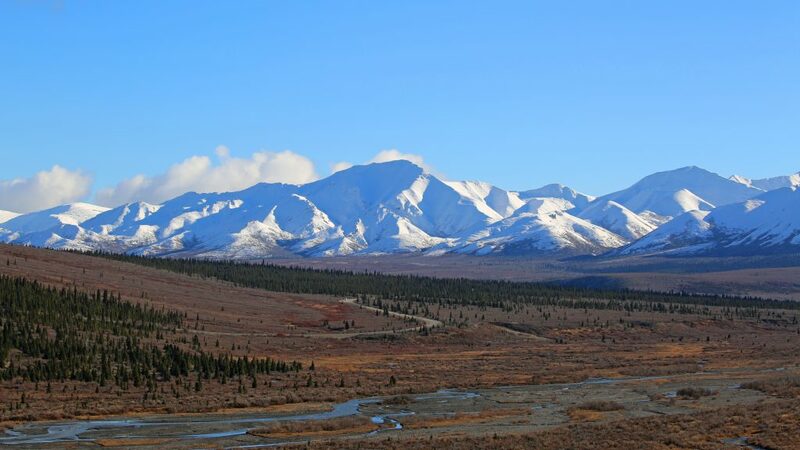 The remoteness of the Denali National Park and Preserve create a necessity for planning your arrival. The common choices are planes, trains, and automobiles or various combinations of these. The primary northern Alaska commercial airports are in Fairbanks (FAI) and Anchorage (ANC). After arriving in Alaska, you will have several choices on how to best reach the Denali National Park and Preserve. The Alaska Railroad is a convenient choice for travelers to the park from either Fairbanks or Anchorage. The train has a dining car and some snacks on board for purchase along with narration of scenic and historical facts during the route. The train is fast and comfortable, with amazing scenery. One disadvantage to the train is that there are no stops for scenic photographs along the way. A second choice would be to travel by bus. There are shuttle bus companies around $65 each way with convenient schedules and comfortable motor coaches. Tour companies such as Alaska Tour and Travel provide luxury motor coach buses with narration and ample photo stops and rest stops during the trip. Finally, travel by car is a good option for unlimited photo stops and conveniences of independent travel. The single road to reach the park is Alaska Highway 3 which is also known as the George Parks Highway. Along this road, the park entrance is about 240 miles north of Anchorage or 120 miles south of Fairbanks. This park is approximately six million acres of open land with Park Road as the only road allowing motorized vehicle travel. Ninety miles of road winding through the valleys and mountain passes in the park on a single route. On this road, you may travel by private vehicle along a paved road for only the first fifteen miles. To go further into the park, consider a green park shuttle bus or a tour bus. The shuttle bus has designated stops for passengers to leave the bus and tour on your own. The shuttle bus ticket prices reflect the specific route selected. The buses routes, including brief rest stops, wildlife viewing stops and road conditions are the Toklat River route (6.5 hours), Eielson Visitor Center (8 hours), Wonder Lake (11 hours) and the Kantishna stop at the end of the road which is 13 hours roundtrip. These shuttles do not have narration during the route. For a more formal tour with narrative, consider a tour bus option. These tan colored buses are more expensive and also include lunch or a snack. There are three tour bus options for 4.5 hours, 8 hours or 12 hours with the longer tours going deeper into the park. If you prefer not to spend a day on a bus, there are many other activities available at the park. 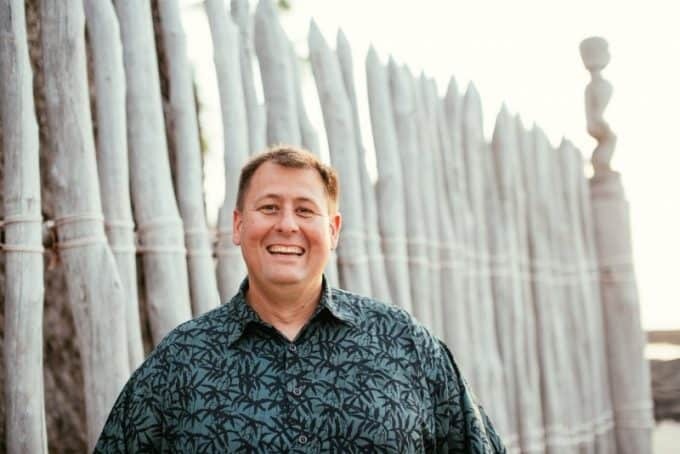 The National Park Service offers a dog sledding demonstration at scheduled times, a variety of guided hiking tours for different interests and skill levels, and theater presentations. Absorb the experience. Find a secluded spot and engage all of your senses in the fascinating surroundings. Hear the winds and sounds of nature as you gaze upon the majestic mountains and forests on the horizon. 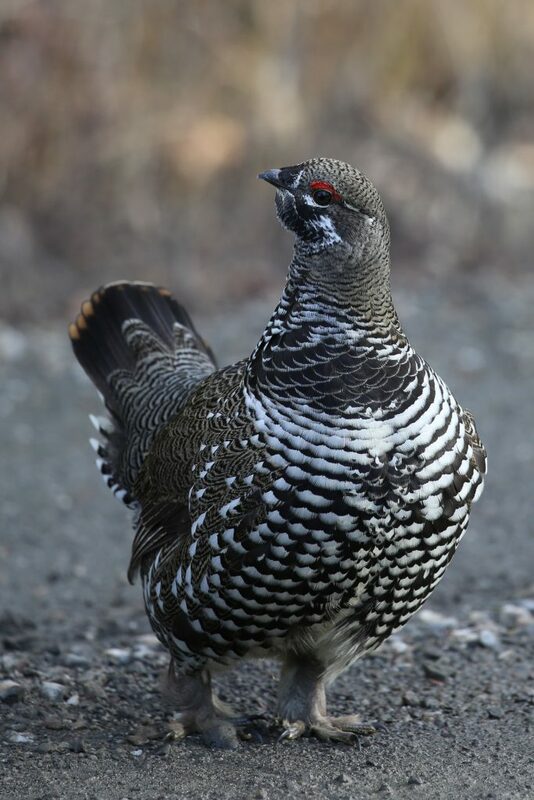 There are lodging options in the Denali Park area to meet the needs of every traveler. Near the park entrance are many hotels ranging from small hotels to resort hotels to cabins and lodges. The Kantishna Roadhouse is at the end of the road and rests in the shadows of the large mountain ranges. With about thirty cabins featuring private baths, this lodging option gives you a genuine look at the historic mining area and the origins of the park from the viewpoint of the original pioneers. Campers at Denali may choose among six established campgrounds with three that are exclusive for tent campers and the other three are available for either tent or vehicle camping. 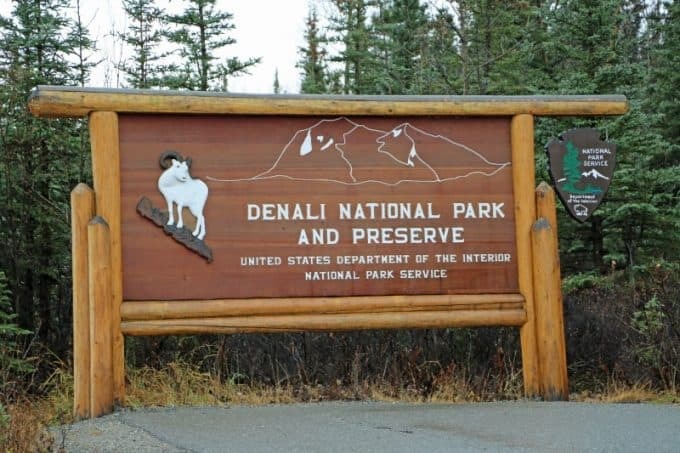 The campgrounds inside Denali do not provide electrical or water hookups for recreational vehicles (RV’s). There are camp facilities with these amenities nearby, but outside the park. As you plan your trip, keep in mind that the primary travel season is May through September. The National Park Service is an excellent resource for all of your planning needs. Denali is a world treasure, recognized for its amazing scenery and wildlife. Your visit to Denali will be an adventure as you explore the region and experience the excitement and the inspiration that greets you.